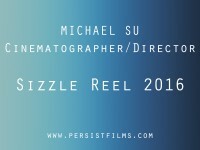 Michael Su Sizzle Reel 2016 from Michael Su on Vimeo. We are a boutique production company that can provide full service production staffing, equipment and know how at every stage of a project. Through our network of production partners, we are able to find the best deals for you, and take you through the completion of your project. Persistence Filmworks is constantly working toward producing in-house projects, we have many projects in all stages of preparation and production, and we welcome all inquiries for investors and distributors. 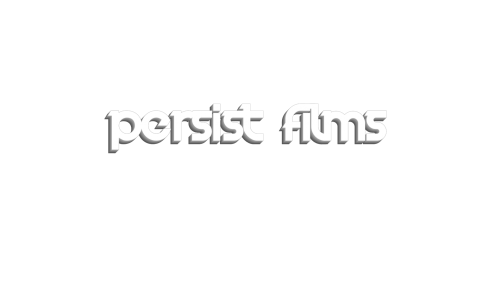 Persistence Filmworks is a full service production company, created to fulfill the concept that all projects great and small should be treated with the same attention, and to be persistent in the pursuit of excellence, to complete the appointed tasks, with a balance of fiscal responsibility and artistic creativity. Michael began his career 15 years ago in Universal Studios Hollywood’s entertainment department and with Saban Entertainment’s “Power Rangers”. After honing his skills, he embarked on his directing path with the feature films “The Revolting Dead” and “Doomed”, both films were released into the DVD market with the latter film being broadcast on Showtime Extreme in heavy rotation, his third film “My Demon Within” is currently in negotiation for distribution. Michael opened Persistence Filmworks, LLC and began working in television commercials, quickly winning over agencies and clients alike, and creating many memorable spots.